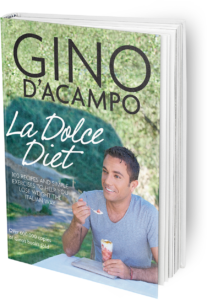 Are you looking for a delicious recipe with a difference? If you are, you’ve found it! Here’s my grilled tuna steak with garlic breadcrumbs for you to enjoy. Every now and then fish and chips in the UK is a must, but I must admit I often prefer my fish in breadcrumbs rather than batter – they make a far lighter coating that really means you taste the fish – and with this recipe I’ve come up with a much healthier but still delicious version. 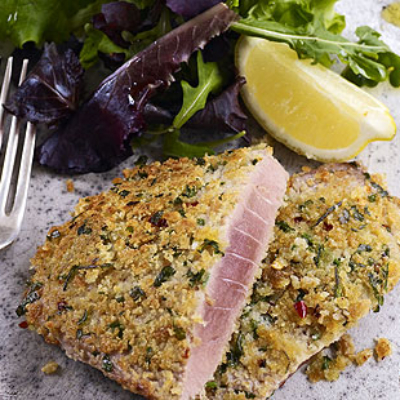 Tuna is such tasty meaty fish and the breadcrumbs add a bit of luxury to it. A crisp salad is all you need to round off the meal but if you really fancy some carbs, try my couscous or lentil salad. 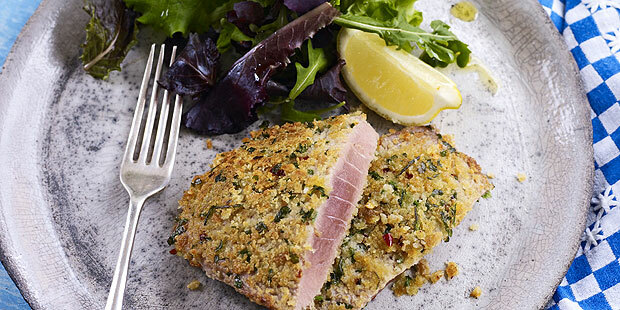 Feast your eyes on the finest grilled tuna steak with garlic breadcrumbs! It’s straightforward and fun to make this great dish. Simply follow the instructions below and get the perfect result. Preheat a griddle pan. Use your fingertips to mix together the lemon juice, breadcrumbs, garlic, parsley, chilli and oil in a medium bowl. If the mixture seems too wet, add more breadcrumbs. Season the tuna steaks with salt and dip each side into the breadcrumbs mixture. Press down with your hands to ensure that the breadcrumbs coat the tuna evenly. Cook on the hot griddle pan for 3 minutes on each side until brown and crispy all over. Place the tuna steaks on a chopping board and use a sharp knife to cut them in half. Serve immediately with a wedge of lemon and some crunchy mixed salad – fantastic served with a glass of dry Italian white wine. Once you’re done, simply sit back and enjoy your grilled tuna steak with garlic breadcrumbs and don’t forget to check out other great authentic Italian recipes including great antipasti recipes, Italian pasta recipes, Italian soup recipes, Italian beef dishes and authentic pizza recipes.